Home > Communication Systems Reference and Training Manuals > > Overhead Projector. mirror, and a 10 1/2 inch aperture. excess heat damages the lamp. 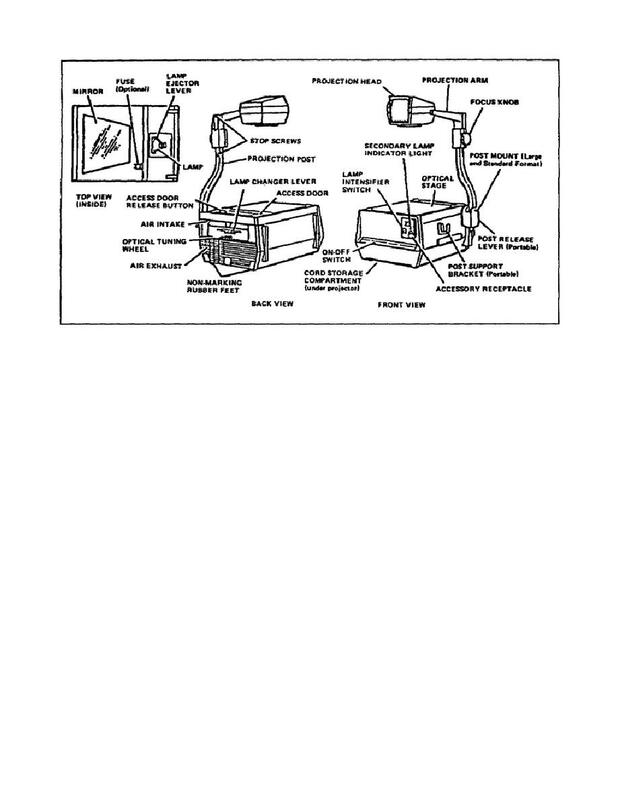 provides power to both the lamp and the blower. thermostatic switch that controls the blower operation.